E. L. D. MEDIATION SERVICES is dedicated to the process of alternative dispute resolution (ADR). The company pays careful attention to the concerns of the Parties involved, which allows the Parties to retain control over the outcome of their own dispute with respect to mediation, and depending on the matter, gives the parties a less expensive and time consuming alternative with respect to arbitration. Also, should a mediation need to become arbitration ("a Med/Arb"), Edna L. Deeb has proven her ability to be a fair and impartial neutral, while being a diligent evaluator of facts. Privacy and confidentiality are the primary concerns to most Parties, as well as expediency and convenience of time and access to ADR. E.L.D. Mediations Services can be accommodating to these concerns. 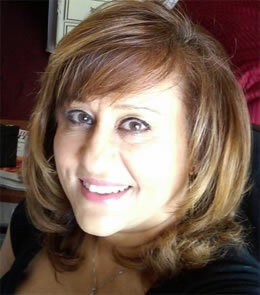 EDNA L. DEEB has been an attorney in private practice in Southern California since 1984. She specializes in Real Estate, Entertainment and Corporate law, yet resolves many family, personal and business matters. She is also a licensed Real Estate Broker. She speaks several languages and is fluent in English and Spanish. To date, she has mediated almost 300 cases and arbitrated well over 200. In 1992, she became a certified mediator by the Los Angeles County Bar Association Dispute Resolution Systems, Inc. (which satisfies the requirements of the California Dispute Resolution Programs Act of 1986). She works with the Los Angeles Superior Court Joint Association Dispute Resolution Services program, and conducts private mediations and arbitrations. She has also been a senior level arbitrator with the State of California Contractors State License Board (late 1990's). In 1994, she started E.L.D. Mediations Services to better cater to the community. In 1995, the State Bar of California approved her Mediation Training Course for 30 (and subsequently 25) hours of Minimum Continuing Legal Education, and in 1997 the Board of Behavioral Sciences for the State of California also approved her course for continuing education credit. Teaching & Training: In 1996, she copyrighted her E.L.D. Mediation Training Book (the course was approved by the State Bar for 30 hrs of MCLE credit) and her booklet entitled "Mediate-Don't Litigate/Arbitrate." In 1998, she wrote and copyrighted another textbook, Alternative Dispute Resolution: Options and Foundations for Conflict Management. In January 2000, she completed her third textbook, Arbitration Training, which teaches how to become an Arbitrator. The State Bar has also approved the Arbitration training course for 21.5 hours of MCLE credit. In 2010, she completed two additional courses one in Communications and Conflict Resolution (approved for 5 hrs MCLE with .25 hrs. in Bias) and Ethics (2 hours MCLE in that subject). Copyright ©2013 by Edna L. Deeb. All rights reserved.